Located in North Africa, Sudan is largely bordered by the Red Sea. There are many ports for import and export seeing as the country is a center for oil harvesting. 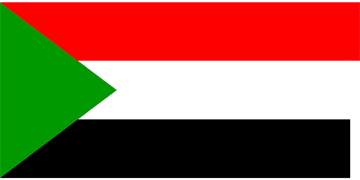 Many come to stay in Sudan for employment and study. It is always wise to have your own personal vehicle transported there with you so that you can avoid any barriers with the language and currency that often present themselves when public transit must be used. Contact your auto shipping company and the Embassy of Sudan at least a couple months before you would like to have the vehicle shipped. This will give you time to prepare for the vehicle’s transport and to gather all necessary documents. What documents are needed for vehicle transport to Sudan may change which is why calling the Embassy of Sudan is important. They will keep you updated on all current regulations for vehicle import. However, in most cases, you can safely assume certain documents are necessary. Not only should you have the above documents prepared for Customs, but the vehicle should fit the standards set by the country. You will also need to settle on a vehicle shipping method. If you choose to go with RO/RO shipping, make sure there is a port near you that accepts this shipping method. Not all ports accept it and you may need to go out of your way and farther from where you are staying in Sudan just to pick the vehicle up.